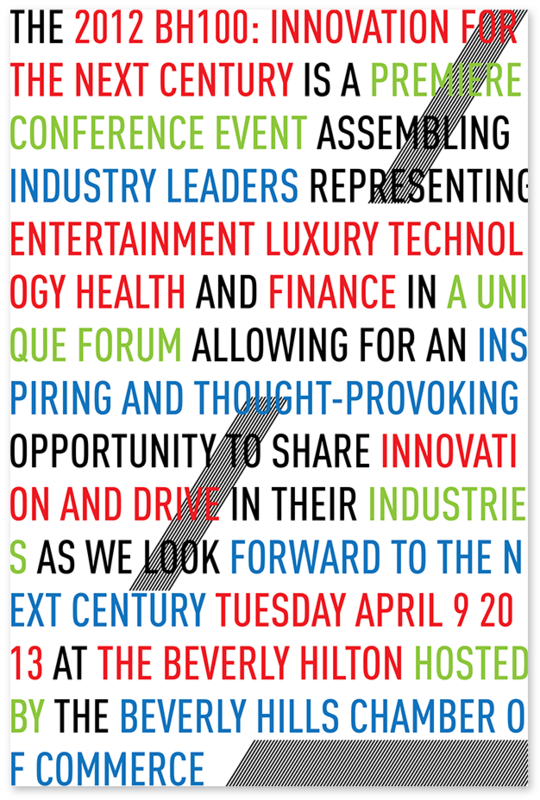 A concept mailable poster/flyer for an event held by the Beverly Hills Chamber of Commerce. I was asked to produce a concept for a “TED” like event which the Beverly Hills Chamber of Commerce intended to produce. The concept was a quick design study in a mailable poster. The backside of the poster was designed so the entire poster can be folded down into a standard USPS-approved size class for easy mailing. The intention of the design was to be one that grabs a person’s attention – momentarily – so they can take in the message by reading it, much like a message or information is taken in during a “TED” talk when someone takes the time to listen.